Building your hotel brand in today’s competitive market is hard. We’re here to make it a whole lot easier. Travel Tech Strategies is a full-service hotel marketing agency, dedicated to helping boutique hotels and independent hotel chains succeed in the highly competitive hospitality industry. Our team includes gifted marketers from every discipline of hotel promotion – graphic artists, web designers, mobile app developers, SEO copywriters, and social marketers, overseen by account managers with a passion for helping hotels and other travel industry companies succeed. We have strong partnerships with talented videographers who know the best ways of bringing your hotel’s unique brand to life. Our hotel data mining experts know how to take all the information that online marketing strategies generate, and use it to refine hotel marketing strategies and make them more effective. With our dedicated marketing team working for you, you’ll have all the tools you need to market your hotel more effectively and efficiently than ever before. To succeed in an industry dominated by international hotel chains and OTAs, small- to mid-sized hotels need to use every available online marketing strategy to its fullest potential. Since 2014, Travel Tech Strategies has been helping local, national, and international hotels meet their marketing and branding objectives from our offices in Fort Lauderdale, FL. When you partner with Travel Tech Strategies, you gain the benefits of our years of hotel marketing expertise and in-depth hospitality industry knowledge. You’ll have talented, creative marketing professionals working to build your hotel’s marketing reach, without the expense of hiring an in-house marketing department. Travel Tech Strategies specializes in creating comprehensive hotel marketing strategies that incorporate the latest trends in hospitality marketing to achieve the widest marketing reach. We have become an industry leader by providing hotels with everything they need to achieve their marketing goals in this challenging industry, including responsive web design, social media marketing, email marketing, and much more, with analytics to make sure hotels realize the greatest ROI. Our creative team’s specialized hotel marketing knowledge will give you the edge you need to meet or exceed your revenue and occupancy goals. When you are ready to improve your hotel’s marketing reach, come talk to us. We can provide you with the expertise you need to realize your hotel’s revenue goals and achieve your desired occupancy rates. Whether you’re trying to build your hotel brand, improve one of your marketing strategies, or create a comprehensive online marketing strategy for your hotel, you can count on the marketers at Travel Tech Strategies to provide the marketing support your hotel needs to succeed. Peter is Founder and CEO of Travel Tech Strategies. 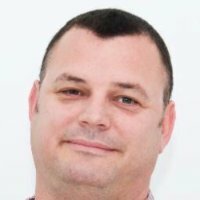 With a passion for online marketing and travel, Peter enjoys analyzing digital strategies and offering his unique view on how effective they are for any travel industry company. Having a track record of successfully commercializing digital properties, Peter is always looking for the next challenge to help a company succeed online. For over 13 years, Peter has been fully immersed in the online marketing world, having in-depth experience with digital media strategy, SEO, online advertising, social media, & business development. Peter has been involved with a number of local and international businesses helping them develop their online presence. Before the launch of Travel Tech Strategies, Peter founded Blue Interactive Agency, which focuses on the online marketing needs of local small to medium businesses. In his spare time, Peter maintains a personal blog which focuses on his gastronome adventures. He also loves to travel. Originally from South Africa, Peter has lived and traveled to several places throughout the world, but has happily settled in Sunny South Florida with his wife, Johanna and two dogs, Harry and Sally. Katarina Puckett is the VP of Marketing at Travel Tech Strategies. Always enjoying a happy balance of analytical and creative thinking, Kat finds working in digital marketing to be the perfect fit. She loves helping clients strategize online marketing tactics to meet their business’s goals. Aside from managing the marketing operations for Travel Tech, Kat will work directly with clients to ensure ongoing digital marketing objectives are accomplished. Katarina’s experience lies in SEO, online PPC advertising, social media marketing, content strategy, design strategy, web analytics and business consulting. She has worked with business strategies for over 10 years and after receiving her MBA, she concentrated specifically on digital marketing. She founded High Ground Marketing before joining the team at Travel Tech Strategies, where she can focus on helping hotels and travel industry companies succeed online. When not working, Kat enjoys spending time with her fiancé, Alex, and their dog, Milo, going to the dog park or beach, or spending time with family and friends. She also loves traveling and hopes to continue to expand the places she’s explored, always interested to visit somewhere she’s never been before to be immersed in the local culture. 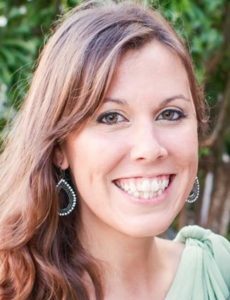 Samantha Jerabek is the Digital Marketing Specialist at Travel Tech Strategies. She brings a wide range of skills to Blue including account management, email marketing, social media management for Blue’s wide array of clients, website development, SEO, and content management. A graduate from the University of Cincinnati in Ohio with a Bachelor’s degree in Marketing and International Business, Samantha held multiple internship positions in the academic and government sectors. After graduating and spending a year abroad teaching English in Madrid, Spain, Samantha relocated to South Florida and worked as the Communications Manager for a start-up before coming to Blue. She lives in Fort Lauderdale, Florida with her husband, Gonzalo and cat, Chili Pepper.